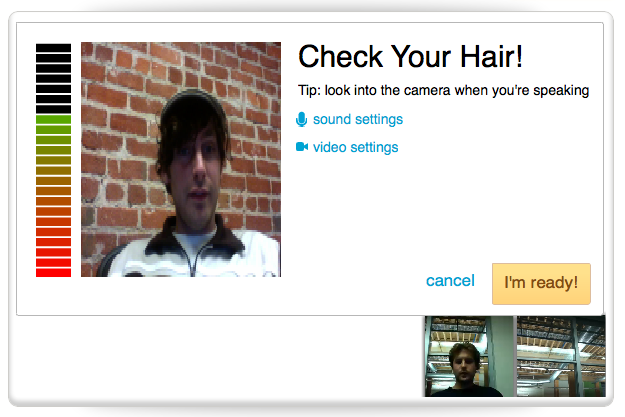 Just nine months after launch, video chat broadcasting app OnTheAir has been acquired by Yahoo for an undisclosed sum. All five team members are coming along to work on the mobile team at Yahoo under Adam Cahan. OnTheAir lets friends chat and content producers webcast single or split-screen interviews. The team could help Yahoo compete with Google Hangouts or build mobile communication apps. All of OnTheAir’s five founding teammates are joining Yahoo. 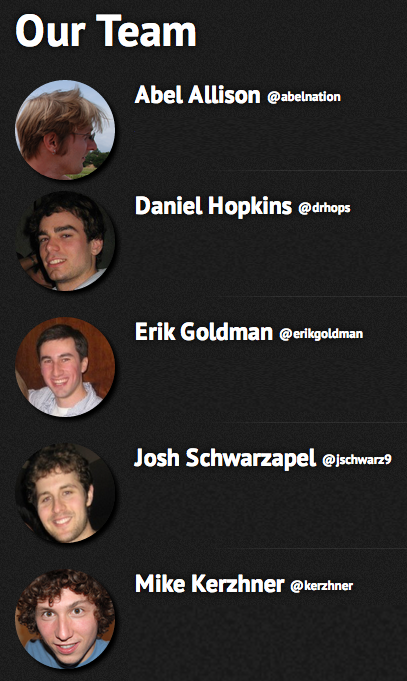 They are Stanford CS Masters, former Facebook intern, and Apple iCloud employee Erik Goldman; Cooliris founding team member Josh Schwarzapel; former Meebo interaction designer Abel Allison; Gmail interaction engineer Dan Hopkins; and Apple OS X engineer Mike Kerzhner. OnTheAir had raised an $880,000 seed round led by Scott Banister and True Ventures plus Howard Lindzon, Ben Narasin, Will Smith, and Triple Point Ventures. Lean startup guru Eric Ries was also an advisor. I profiled OnTheAir when they launched back in March. The app lets people set up adhoc webinars that can be watched over live stream by large audiences. The real differentiator was that OnTheAir could serve as a sort of video call-in radio show for the Internet age. A host could take requests from viewers to come “onstage,” then broadcast a split screen chat with them. However, with Airtime unable to gain traction and big players like Google investing heavily in the space, being successful while staying independent may have been tough for the team. An early acquisition bid before having to raise more money may have been the smartest move. The deal is also fascinating as it shows how serious Yahoo is about getting into the rapid M&A game that Facebook and Google have been dominating lately. Sure it could have built its own video chat broadcasting system, but why not buy one along with some bright young guys and get to market much quicker. It follows Yahoo’s purchase of Stamped in October. OnTheAir is Joining Forces with Yahoo! We are excited to share some big news: OnTheAir has been acquired by Yahoo!. When we started OnTheAir, we had dreams of building a company that made a difference in the daily lives of millions. Our pursuit was challenging: We put in late nights together. We debated intensely. We worked like crazy to build a product we were proud to put our name on. Despite the challenges, our experience has been a rewarding one. We got to launch multiple products to a wonderful community. We were coached and mentored by some of the brightest investors and advisors in Technology (see our list below and work with them if you ever get the chance!). Most importantly, we developed deep bonds as a team and learned how to work together as a unit. While we haven’t yet attained our dream of building a widespread daily use product, we are just as committed to it. And this is why we’re so excited to be joining Yahoo!. When we first met with the team at Yahoo!, it was clear that everybody there is committed to making mobile products the backbone for the world’s daily habits. All in all, it’s a fascinating time to be joining Yahoo!. There’s a tremendous amount of energy in the company. There are big things to be done and great products to be built, and we’re thrilled to be a part of it. We want to conclude this letter with a word of gratitude. Thank you to all of our customers, team members, mentors, advisors, investors, consultants, friends, and family for being a special part of OnTheAir. Building a company is no easy task, and we realize we wouldn’t be anywhere without your support.